Shortly after I started The Book Doctor Is In back in 2011, I received a pretty big shock. I discovered that the level of someone’s education, the depth of their knowledge, and their professional success had nothing to do with how well they could write a book about their subject of expertise. You see, before I immersed myself in the world of publishing, I had always assumed that if a person was educated and experienced, he or she could write an excellent book. But I quickly found out that I was wrong. I also found out that it wasn’t that smart, knowledgeable person’s fault. A shining example of this lies in a prospective client who once enthusiastically reached out to me with his near-finished manuscript. He had a PhD and was highly successful in his practice, so I admit, I expected his manuscript to be top-notch. In fact, it couldn’t even be called a manuscript. As I read through it, my heart dropped. It had no cohesion, no logical flow, no structure that made sense, and no clear audience. Perhaps worse, the stories that were supposed to help illustrate the material didn’t even have context—they simply spotlighted the author’s own accomplishments. It was then that a lightbulb went off in me. Without a clear checklist of the vital elements that every nonfiction book needs—especially one that seeks to help, guide, or inspire the reader toward a particular goal or to achieve a specific outcome—an author, despite being highly educated and experienced, would likely founder. And their aspiration of increasing their credibility, strengthening their reputation in their field and with colleagues, filling a gap in their niche market, and/or having a top-quality book to sell at events or speaking engagements? It would never come to fruition. Instead of a dream realized, it would be a dream dashed. This realization completely broke my heart. Now, this author—after he recovered from his own shock and came to understand that the manuscript he’d written needed a complete overhaul—had me to help him rebuild his book from scratch with all of those critical elements in place. Subsequent nonfiction authors who approached me, with varying numbers of "crucial missing pieces," had my guidance as well. But what about the self-taught experts, industry professionals, entrepreneurs, and bloggers who didn’t have me or someone else to guide them? Well, a lot of them—and I mean hundreds of thousands—have self-published those inferior manuscripts believing they’re perfectly fine. The result? Diminished credibility. Embarrassment. Poor reviews. A shattered reputation. And that substandard version? It’s forever stuck on Amazon, even if the authors realize their mistakes and have their books redone the "right" way the second time around. It’s certainly NOT what they had in mind. But, sadly, they didn’t know any better. Maybe worse, they truly thought their own knowledge was enough to write an excellent book. But writing a nonfiction book on a topic of expertise is an endeavor that requires a blueprint. And if you want to fulfill those dreams of boosting your credibility and reputation, wowing your readers, and receiving great reviews, that blueprint requires careful examination of the marketing end of that book BEFORE anything else. What does that marketing end look like? Well, to bring it all into perspective for you, I’ve brought the elements together into a single page in the form of a fun mind map, and it’s yours for free just for being part of my community. This mind map highlights the 15 essentials that every nonfiction book needs to find any level of success in today’s crowded literary marketplace. Missing even ONE of these elements could prove disastrous for a nonfiction author, and I do NOT want that happening to you! So if you don’t want to be one of those authors who didn’t know any better and published a substandard manuscript with regret, use this mind map as your checklist. Or if you prefer to watch the mind map presented in video format, I made a brief video version just for you! I hope you find it super helpful on your journey of becoming a published author with excellence! P.S. If you want even more super guidance for your nonfiction book endeavor, register for my upcoming free webinar, 6 Secrets to Building a Marketable, High-Value Nonfiction Book (Even if You're Not a "Writer"). It's going to be jam-packed with good stuff! Are you one of those people who simply "knows stuff"—a lot of stuff, in fact—about a particular topic? Perhaps you grabbed onto a subject at some point and not only researched the heck out of it, but have lived it as well. Maybe you know in your heart you have something of value to offer readers if you wrote a book about your self-taught expertise and experience—people may have even encouraged you to do so. Or perhaps you, yourself, have been secretly harboring a desire to finally sit down and write that awesome book. If so, you're going to love my interview with author Donna Chicone! Donna, you’ve been a parent and advocate of dogs for many years, not to mention the host of the local TV show, The Dog Show with Jazz. 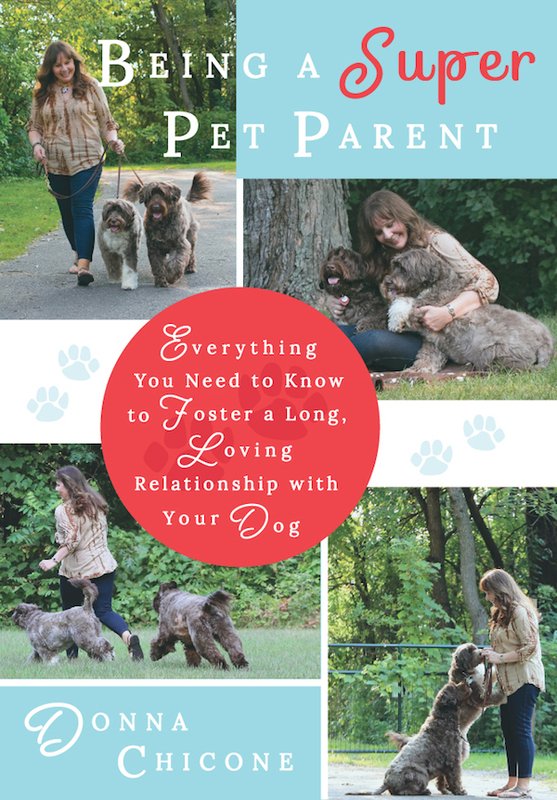 What did you feel was missing in the marketplace that made you want to write a book on dog parenting? Actually, I had been so involved in producing and hosting my TV show, I had never thought about writing a book until a marketer suggested I do so for even further credibility. She also felt I had a lot of information to share about dogs. I was inspired by her and her suggestion, so I sat down and wrote an outline. I quickly discovered the book was in my head and heart just waiting to be written. The marketer offered to review my outline, and during our meeting she told me I had to go home and write my book. That is exactly what I did. With another vehicle of communication about dogs, I was very excited to make the book a reality. How did you gather your self-taught-expert “credentials”? In other words, what kind of research did you do for the book that lent to your having an expert position? When my dog Jazz came into my life, I was a very excited and responsible pet parent. I followed all the advice of my excellent breeder and researched everything I had a question about, either in a book or online. When I was doing my TV show, I researched every guest and dog breed I booked to be on the show. The purpose of the show was to educate and entertain people, and I wanted to be accurate with the information I shared, which required a lot of research online and in books. Preparation is 90% of a TV show, and I believe that applies to many areas of life as well. I also benefited from the expert information shared by my guests, as did my viewing audience. While all this was going on, I was simultaneously learning how to be a responsible, caring pet parent. I thought of it as on-the-job training in a way. People began looking to me as an expert for information about dogs and how to parent a dog. Initially, the “expert” title surprised me, but the work attached to the title was work I knew well, so I quickly became comfortable with it. When writing my book, I researched the topics I was writing about and obtained permission from sources that helped make my point, support my values, or factually support my positions. It was a lot of work but it was exciting—like I was on an adventure all the while I was doing it. But that was what research for my TV show felt like too. Living your passion never feels like work. How did you go about determining how your book would fill a gap in the literary marketplace? I went to bookstores and looked at the books they were selling, and I also did research online. I quickly found that there was no book like the one I wanted to write. The pet section was filled with books on dogs—training and nutrition were big topics, as well as touching dog stories. But there was no all-in-one, how-to book for dog parents. “Pet parenting” was a commonly used reference at the time, but no one had actually defined what that meant in a book. In the work I had been doing communicating with the public about dogs, I knew there was a need for a book that discussed everything about having a dog in one’s life from the very beginning to the very end. I also talked with friends and family. They all agreed they would appreciate a book like the one I wanted to write. Not only did the need seem apparent, it was a book I would have loved to have when I brought my first dog into my life. What did you find most challenging in the structuring and writing of your book? What methods or tools did you find helpful? I have accomplished many firsts in my life, but I’d never written a book before, and the challenge of it seemed way out there to me. I made the decision to write from the outline I had created, but honestly, my first draft was more about my opinions and me and did not focus on the reader. That was my first key learning. So I set about rewriting the entire manuscript so it would be beneficial to the reader. Once I made that paradigm shift in my thinking, everything began to fall into place. I would create a writing environment with soft jazz music playing, a scented candle burning, and my dogs lying at my feet. Then I would write a chapter at a time on my laptop, using Word. When my brain felt tired, I would take a break and spend time with the dogs. Staying focused on writing was necessary, and creating an environment that felt good to be in while writing helped me a lot. I did not know much about structuring my content until I met my first editor. She was very helpful in guiding me to lay a foundation for the book. But when I met my second editor (who, as you know, was you! ), everything really began to come together. I knew nothing about the structure and placement of content in a book, but you worked with me on rewriting some content and placing certain material in different places. I didn’t even know I needed to write things, like an author page, or other content that was necessary for the final book. In short, a good editor really is essential for any author. For me personally, you were a true partner on my book journey, and I recommend that any would-be author seek the same kind of partnership. How long would you estimate it took you from your initial idea to having a manuscript ready for an editor? How did you fit writing Being a Super Pet Parent into your daily routine? Because I work out of my home, I would schedule time to write. My energy and focus seem to thrive in the evening hours, so I would find myself writing into the late night. I also seemed to find a lot of time on weekends, again late into the evening. I am not a morning person up at six a.m., so when I wrote during daytime hours, I would just get a later start to my day. I think it is important to know your body energy and when you are most productive. For some people that is early morning and for others like myself, it is later in the day. And, as I stated above, I always created a conducive environment to write in. How would you recommend that a self-taught expert get early feedback on their book? I specifically asked six people who were dog parents to be beta readers for my first book. These were friends I knew could be objective and who understood I wanted constructive feedback. I also asked friends who were professionals in the dog world (a veterinarian and a trainer). All agreed to read my initial manuscript and give me feedback. I also highly recommend being in writers groups. I now belong to a women authors group that meets monthly, and they volunteer to be beta readers for any member who requests it. Belonging to this group has been, and continues to be, a vital resource to me and all the members. Also, the WOW (Women of Words) author group hosts a conference annually, and this year I was a member of the planning committee and a presenter at the conference. WOW’s conference is devoted to featuring speakers who give current information to the author members and the public on every phase of writing a book. If you can find an author group in your area, it could be a most valuable resource for feedback and support. Who did you approach for early endorsements and what method(s) did you use? How were your inquiries received? Did they request to the read the entire manuscript? I asked people in an email request and in-person contacts. I prepared a brief form with specific questions and asked people to read and respond to the questions. Four of the six people I asked responded by reading the manuscript and filling out my questionnaire. Their feedback was enormously helpful, and when the book was further along and in the final editing stage, I asked some of them to review the book again and asked if they would write a testimonial. Those became endorsements in my book and on my website. Being a Super Pet Parent has won or been a finalist for several notable awards. Huge congratulations! What advice would you give for submitting a nonfiction book for indie book awards? I am learning over time that it is important to research the award organization. There are many today and if you win one, others will contact you. Many have a primary focus on being profitable only for themselves, but there are also some that truly want to support indie authors and try to give them exposure. The NIEA (National Indie Excellence Award) is very special to me. Both my books have been honored with their award, one a winner and one a finalist. I briefly knew the founder of this organization and her motive was sincere. Sadly, she recently passed away. I am honored to have known her and to have been recognized by NIEA. As a side note, I am currently a judge for the MIPA (Midwest Independent Publishing Association) Midwest Book Awards. This is my first time judging a book award event, and I am finding it a wonderful opportunity to give back. I hope to continue with this newfound journey. It is a great way to read other authors’ work and experience their message. 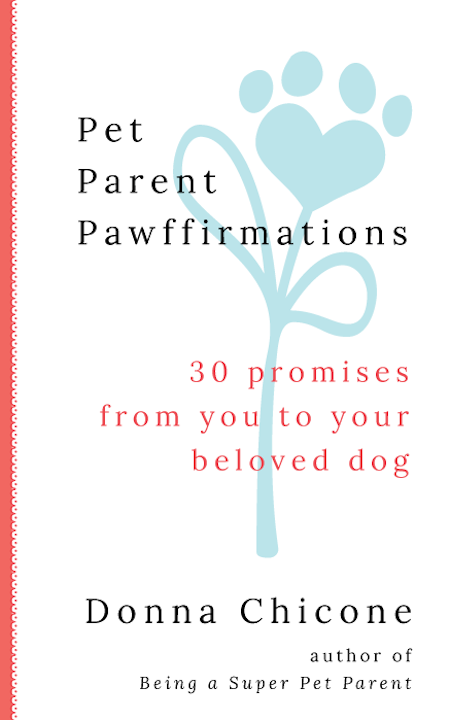 You wrote a really sweet companion book to Being a Super Pet Parent called Pet Parent Pawffirmations. Has having the second book helped promote sales of the first? What has reader feedback been for you? My second book definitely helps promote the sales of my first. 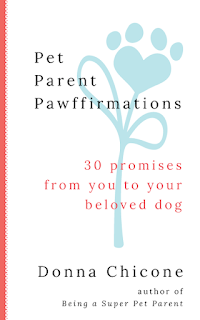 Pet Parent Pawffirmations is in local gift shops, and the buyer usually asks for the first book as well. Even though the two books are companions to each other, people tell me they love them each for different reasons. The first book is a guide and the second book is inspirational. Both have great reviews, and people will often purchase both at book signings. I was so fortunate to be your book production and publishing partner in bringing both of these wonderful books to life with you. How did you seek out prospective providers (editors, designers, etc. ), and what were the most crucial standards you wanted met by that person/people? How did you conduct those interviews? Both you and my first editor requested an initial interview, which I also wanted because it's important to know if you can work well with someone. I also learned a lot about what I wanted to be different in an editor from working with my first one. First, personalities need to be compatible. If you are not compatible with each other, communication will be a challenge and the relationship will be a lot of work. Second, for me it was important that the editor shared my values about dogs. I remember I sent a few criteria (timeliness, cost, professionalism) to you that were important to me and you met them all—except that you weren't a “dog” person. You were very honest about the fact that you had never had a dog but that you were a “kitty mommy.” I felt compatibility with you on other levels, so when you told me you felt you could translate the deep love and respect you had for all animals into my book, I felt like it was a no-brainer to work with a “cat” person. 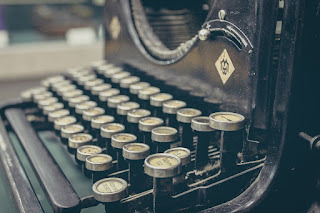 ;-) That connection really lent to a great experience in writing both my books, and I would recommend other writers look for that same harmony in the editor they choose—along with superb credentials, of course! What advice would you give would-be nonfiction authors with regard to the development process? Your book is not about you (unless it is a memoir) and should be a benefit to the reader. A writer’s values and beliefs are important, but they need to be shared in a way the reader will hear them—no lecturing or ranting, but rather persuasion with facts and assertive statements. Stand for what you believe in and don’t compromise because you fear what others might think of you. If your message or point stands on its own, you can support it with confidence and not fear what others may think of you personally. Also, being egotistical is not helpful to a reader. We all need to check our egos at the computer. Having the privilege of sharing your knowledge with readers is a gift. Make it the best experience it can be for both of you. The cost. It does cost money to write a good book. Marketing is my biggest challenge. It needs to be built into efforts from the very beginning when you are considering your book—the title, the audience, absolutely everything. Sharing my message with the world! Knowing I am making a positive difference for our beloved dogs. About being a published author? The success and accomplishment of seeing your own words in print, having focused on doing it professionally and not DIY, is incredibly gratifying. Being registered in the Library of Congress is also a big thing for me. It’s also about living the confidence of knowing I have done this challenging, fun, wonderful thing. Being able to say I am an author and having the hope that sharing my message will make the world a better place for our dogs and the people who love them is immeasurable. What positive results have come from writing and publishing your books, both for you and for your readers? One of the most positive things that has happened is that people I know who have had dogs for years have read my book and then found themselves bringing another dog into their life. 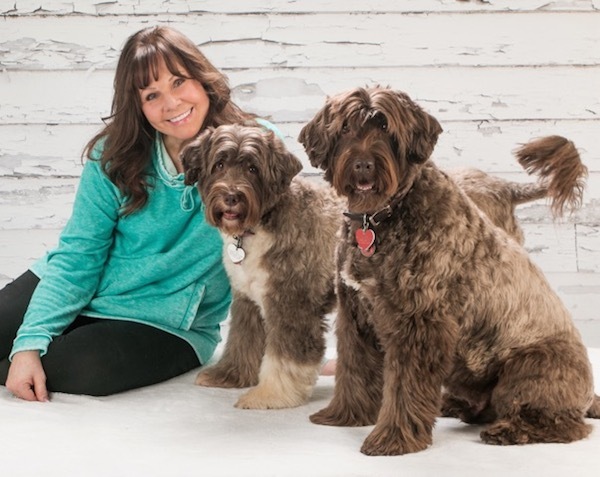 Many people have told me, “I want to do it right this time,” meaning they have learned some things from my book and want to do even better with their new dog. That is awesome for me, for the dog, and for them as pet parents. The fact that people find my book helpful to them and their dogs is positively wonderful. What final advice would you give to someone with personal experience and some hard-won expertise in a particular field of interest who dreams of being a published author? If you have a passion for something and you have a lot of knowledge about that same something, begin jotting down notes. 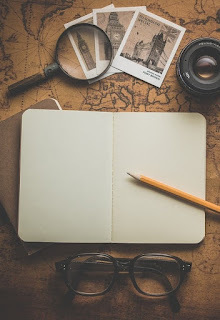 Start with a journal, an outline, whatever makes sense for you at the time. Then, find a great book coach, or obtain sound guidance on structuring a nonfiction book so you can do it right the first time. I wrote my first manuscript many more times than necessary because I had no early coaching or guidance. But once you have that structure in place, if your knowledge is linked with enthusiasm, the writing will follow naturally. Most of all, have fun sharing your passion with the world. Donna, thank you so much for this insightful, heartfelt interview. It's such a joy to know you and to see your books doing so well, and I deeply appreciate you sharing your journey with my readers. Stay tuned for my next interview with author Ashley Davis, who took letters his father wrote to various people, places, and even things before he passed away after a long illness, and created not only a deeply meaningful book around those letters but a movement as well. In the meantime, if you want more tips on self-publishing with excellence, please visit www.savvyauthormastery.com for my free video to set you on the right path. I'd love to see you there! Stacey Aaronson takes self-publishing authors by the hand and transforms their manuscripts into the books they've dreamed of—from impeccable editing and proofreading to engaging, audience-targeted cover and interior design—rivaling or exceeding a traditional house publication. Forgive me, audience, for I have disappeared. It's been a few years since my last blog post. While I realize you may not have missed me or even noticed I stopped blogging, it's important to me that you know I have never taken your interest or attention for granted. Perhaps you've been equally overwhelmed, struggling to keep up in today's technology-laden, multitasking, multisensory, often chaotic world. But even if you haven't, I hope you'll allow me to give you the brief explanation you deserve for why I temporarily dropped out of the blogosphere. Maybe you'll even relate. When I launched my business, The Book Doctor Is In, back in 2011, I did everything I could to reach out to the people who needed my help the most: aspiring authors. And at a certain point, that outreach turned into a thriving business I could barely keep up with. While I was over the moon that I was able to help so many authors produce their books with excellence from cover to cover—several of them winning notable awards—I quickly became an all-work-very-little-play kind of gal ... and it understandably began to take a toll on me. I had to make a decision for my health and sanity: cut back on clients or cut back on the extras, like blogging and social media. I chose the latter. Some may say that sounds reasonable and they wish they could do the same; others will say it was a terrible idea. All I can say is that the decision was the best one for me. In the midst of it all, I experienced a couple pretty intense life losses, followed by a huge out-of-state move. While the move was a dream come true, it was still incredibly stressful. As they say, something's gotta give. But I have another confession: In my heart, I'm a writer before all else. And it pained me not to write my blog and have this additional outlet for helping you fulfill your author dreams. I contemplated picking it back up multiple times, but I was simply too overwhelmed with other things. I knew I would return at some point when the time was right, and well, now is the time! I hope that despite the time that's passed, you'll stay with me. I have exciting things in store for you in the coming weeks, beginning with an engaging series of interviews with successful self-published authors. I just know you're going to love hearing their insights, foibles, and how they ultimately made their publishing dreams come true by staying focused on inspiring the most important people of all—their readers. Each author interview will encompass a different genre and the writer's particular set of challenges and triumphs—and all of them are honest, motivating, and filled with tips you can use on your own writing and publishing journey. Stay tuned ... the first one will be landing in your inbox tomorrow, and the nuggets it contains may be just what you need to hear as you work on your own nonfiction labor of love. In the meantime, to show my appreciation for hanging in there with me, I have a super-duper BRAND NEW freebie you are welcome to download. It's called The Essential Nonfiction Book Planning Mind Map, and it shows all the crucial elements that create the foundation of a marketable, audience-targeted book. I hope you find it helpful! So yes, love DOES mean having to say you're sorry. I have great love and respect for the people who have connected with me over time, and I hope you will indeed accept my apology for not being there for you these last few years here on the blog. I intend to make it up to you! What's the Difference Between Developmental Editing, Content Editing, Copy Editing, and Proofreading? Click image above to watch the video version! When you hear the word “editing,” you—like most people—probably think of someone who fixes grammar and punctuation, right? Well, that’s definitely one type, but there are actually a few different types of editing, and each one is vital to your book’s success. I, myself, used to get confused sometimes distinguishing the various editing terms, so I imagine you might too. Well, be confused no more ... your friendly book doctor is here to explain! Do I Really Need to Hire a Professional Editor if I Self-Publish My Book? The Book Doctor Is In with another fun, brief video just for you! This is a question I hear all the time ... and the answer is a resounding, non-negotiable YES! How Long Does It Take to Produce a Self-Published Book? * This is a re-post for those who weren't able to view the video. If you were one of them, I apologize! I've re-embedded the video and added the link in case it's still not appearing on the screen for you. Enjoy! The Book Doctor Is In with a brand new video! As a general guideline, once the manuscript is finished—depending on the level of editing it needs, the complexity of the interior layout, and the time it takes to achieve the right cover design—six months is a realistic time frame for most books. Seem like a long time? Let me tell you why it's not. I've seen this happen MANY times to uneducated and overeager authors ... and I DON'T want it to happen to you! So why is six months a good time frame for most books? You ideally need 2–3 months for the editing process (sometimes less) and more if you've written a novel. *Many rewrites are the norm and should not be taken lightly. 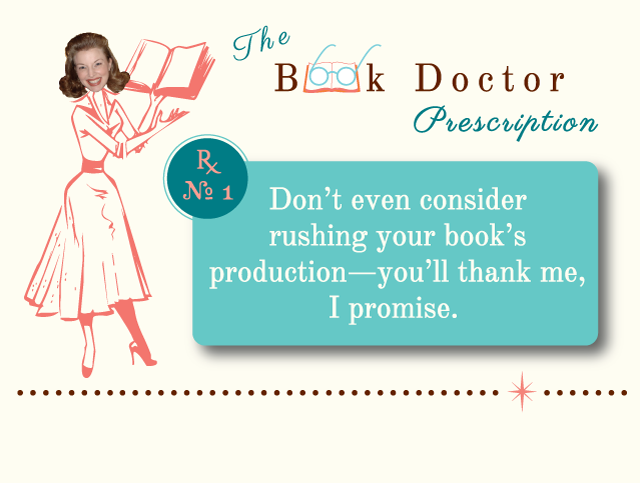 Don't even consider rushing your book's production—give it the time and attention it deserves from one or more professionals from cover to cover. I can tell you from experience producing a wide variety of excellent books that you'll be incredibly happy and proud you did! Stay tuned for more fun and brief videos like these where I answer all your self-publishing questions! And I'd be most grateful if you'd share this on Facebook, Twitter, LinkedIn, or other social media outlets with other writers you think would benefit. Thank you! Stacey Aaronson is a professional Book Doctor who takes self-publishing authors by the hand and transforms their manuscripts into the books they've dreamed of—from impeccable editing and proofreading to engaging, audience-targeted cover and professional interior design—rivaling or exceeding a traditional house publication. 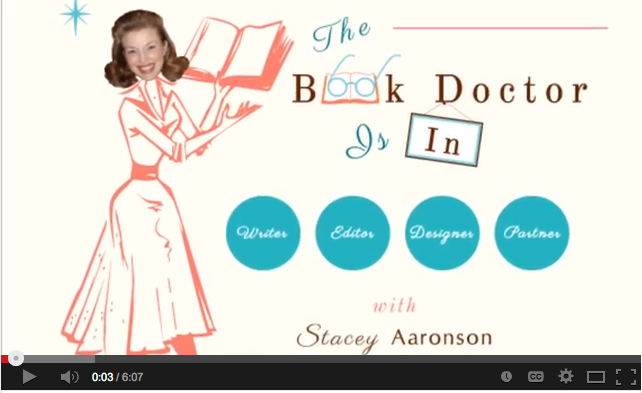 Stacey Aaronson is a professional Book Doctor who takes self-publishing authors by the hand and transforms their manuscript into the book they've dreamed of—from impeccable editing and proofreading to engaging, audience-targeted cover and professional interior design—rivaling or exceeding a traditional house publication.